As a travel writer, I’m thrilled when I discover a hidden gem – a lesser known destination where tourists can immerse themselves in an authentic experience. In fact, I feel compelled to share such a find. However, I write with trepidation because exposing the location can bring more visitors. If the destination then becomes crowded and commercialized, the experience loses what was real and special in the beginning. Let’s hope that doesn’t happen to Canada’s Gaspé Peninsula, because it is a stunning jewel. To find the hidden gem, head north toward a mountainous strip of land, including an extension of the Appalachian Mountains, surrounded by the Gulf of St. Lawrence in eastern Canada. The Gaspésie (as the local French speaking population call it) brims with athletic and aesthetic opportunities, ones visitors can sink not just their teeth but their whole bodies into. On the Gaspé Peninsula, you can explore four national parks; famous Percé Rock; the world’s most accessible northern gannet colony; a UNESCO World Heritage Site; summits over 3300 feet; 40 lighthouses; gorgeous gardens; historic sites and perhaps glimpse moose and caribou. Along with picture-perfect landscapes, scenic drives and friendly people, the Gaspésie restaurants serve divine cuisine, including freshly caught lobsters. Food, fun and scenic beauty; what more do you want? Shortly after arrival, via air to Mont Joli from Montreal, I explored the grounds of Reford Gardens in Grand-Métis with the Director, Alexander Reford. The gardens began as the lifetime passion of his great grandmother, Elsie Redord. They were private during her day, but are now open to the public and renowned for their innovative annual International Festival. My group was treated to lunch at the Estevan Lodge, the Reford home since 1887. The site originally served as a salmon fishing and hunting preserve and feels like an aristocratic manor house. Dinners used to be black tie affairs. Today, Chef Pierre-Olivier Ferry prepares exquisite dishes, blending herbs and flowers from the garden. His plates arrive looking like artistic masterpieces. Reford Gardens showcase around 3,000 plant species, mostly in lush informal gardens bursting with color. I walked by shady ponds and blooming meadows, through rose gardens and looked across the St. Lawrence River. 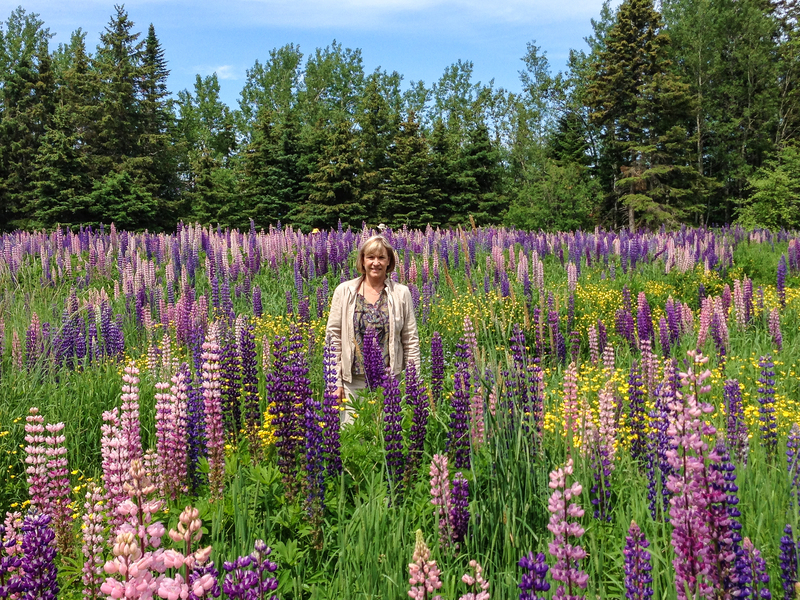 I especially loved the field of wild lupines and the rare Tibetan blue poppy pointed out by Alexander. Gardeners, landscape architects, artists and photographers are drawn here, along with many others who come to simply savor the serenity. 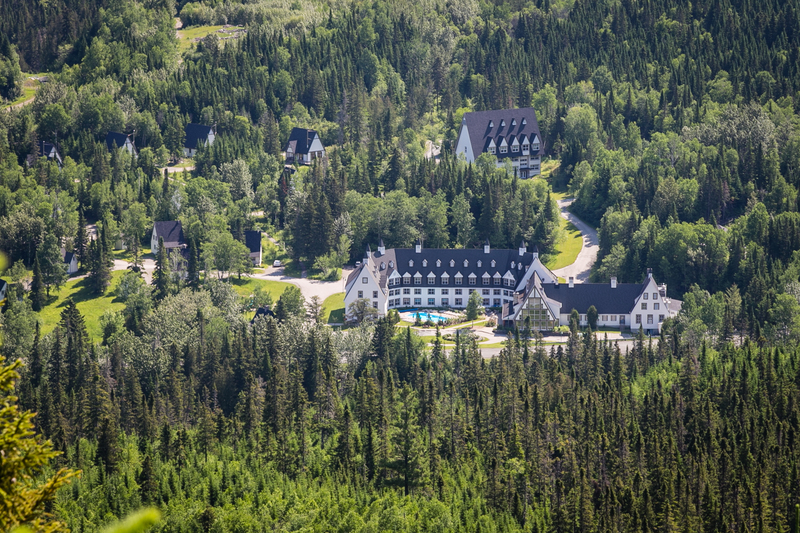 We drove to Gaspésie National Park and stayed in the only hotel within the park: the 4-star Gite du Mont-Albert. Renovations and upgrades to all the guest rooms were just completed. My room included a swishy bath and sleek modern styled furniture. 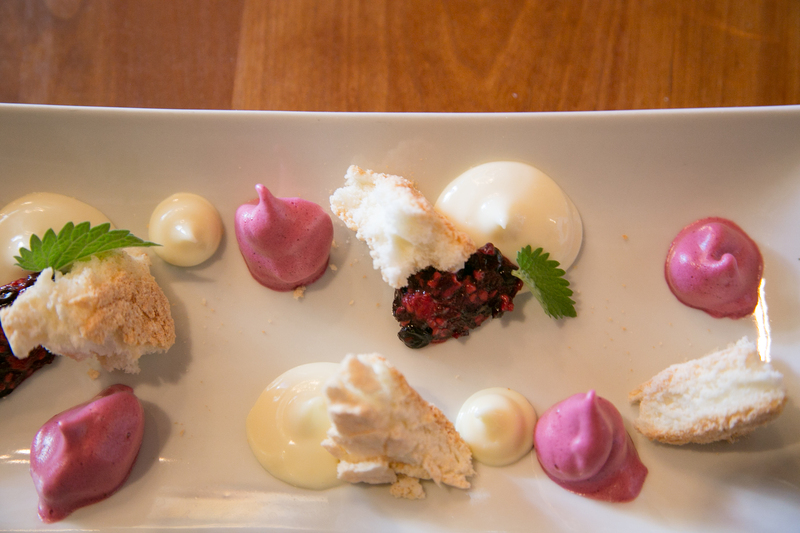 Dinner in the classic alpine lodge became a gourmet feast, far above what one might expect in a National Park. I’d drive out of my way to dine there again. Next morning, we set off early to hike Mont-Albert, the most challenging trail in the park. Yours truly, a Florida grandma used to flat terrain, found herself huffing and puffing up the 18% rocky grade. I made it to the scenic overlook, then descended and hiked easier paths to American Lake for some panoramic photos. Very glad I did, as my fellow hikers climbed above the tree line to the summit, and then took a round about course, not returning to the hotel until 8pm. My host promised I’d see moose if I ascended yet another trail. Once again, my heart rate accelerated, but not from moose. Disappointed, I continued down the circular course, until lo and behold, Zoe spied a few of those big creatures hiding in the bushes as if they were playing a game of Where’s Waldo. 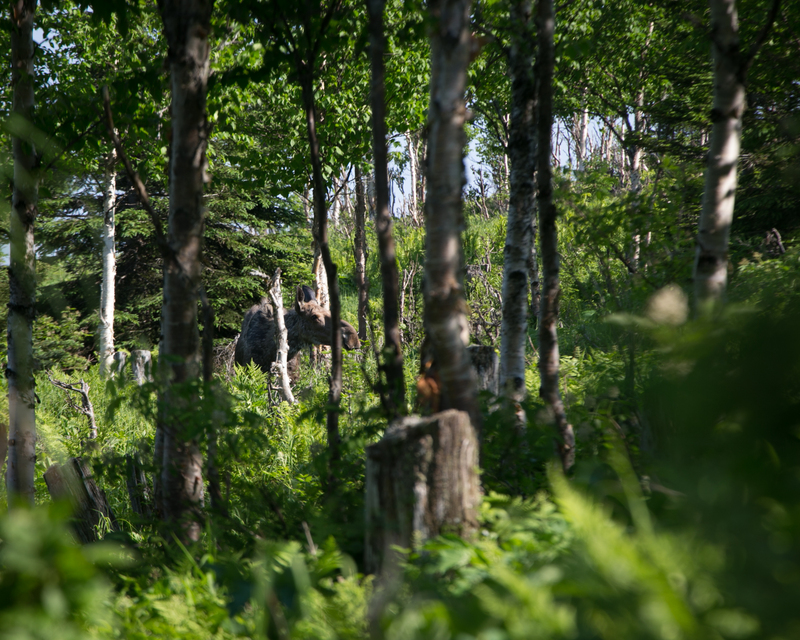 Can you spot the moose in this photo? Hiking and camping enthusiasts will rave about Gaspésie National Park as it fulfills their adventurous needs. 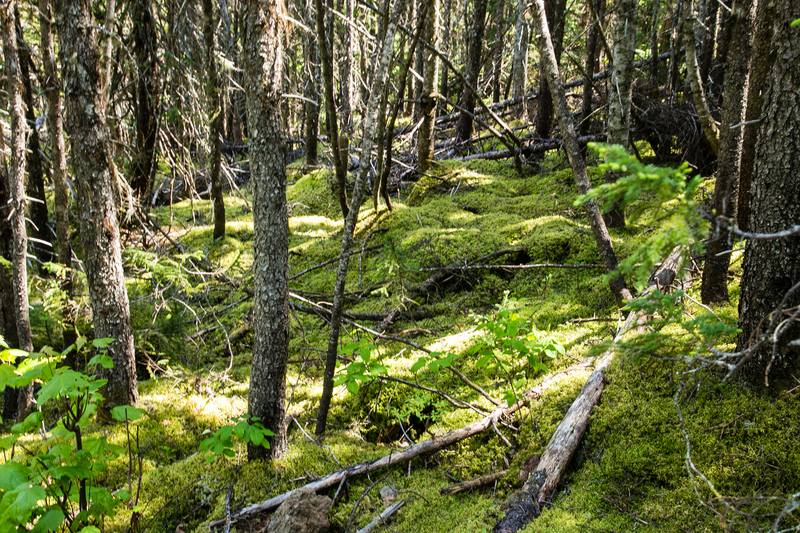 Even I was enthusiastic about the crisp, clean air, dense pine forest and mossy ground cover. 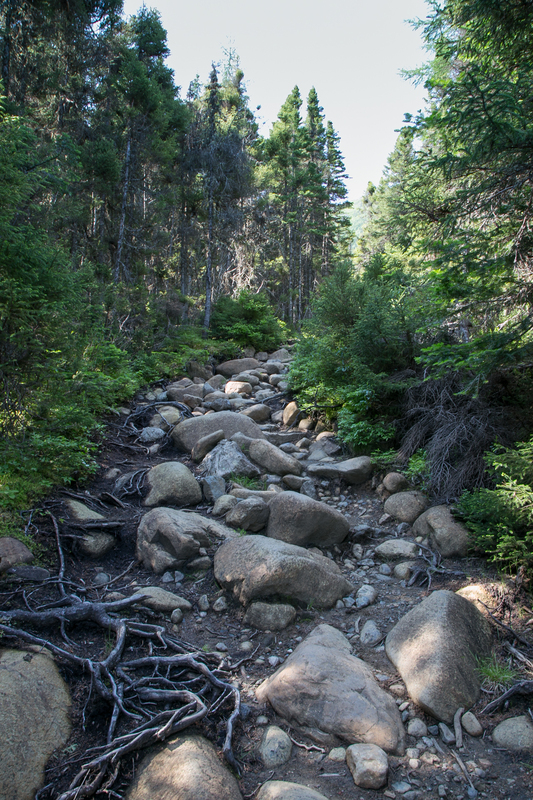 Honestly, the trails are enchanting, but you need to be in good shape. 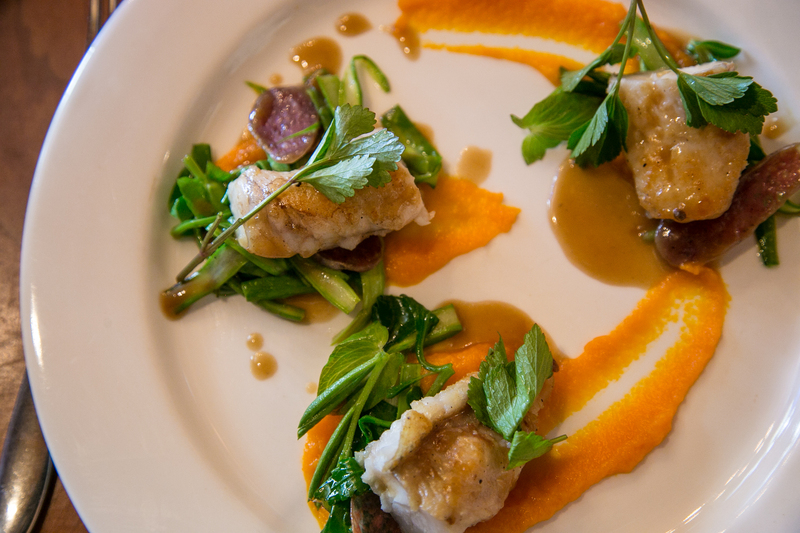 The village of Percé is about as touristy as the region gets, with numerous gift shops and seaside restaurants that dish up French inspired cuisine. The big draw is Percé Rock, a massive limestone boulder rising from the sea. This famous natural landmark ranks as one of the largest arches in the world. Sea kayakers enjoy paddling around it. 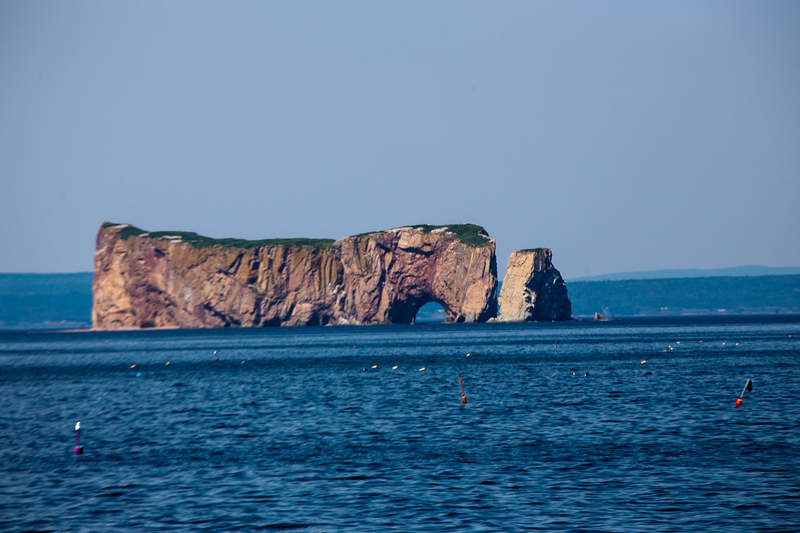 Tour boats glide past the Rock and then circumnavigate Bonaventure Island; the two form Percé National Park. 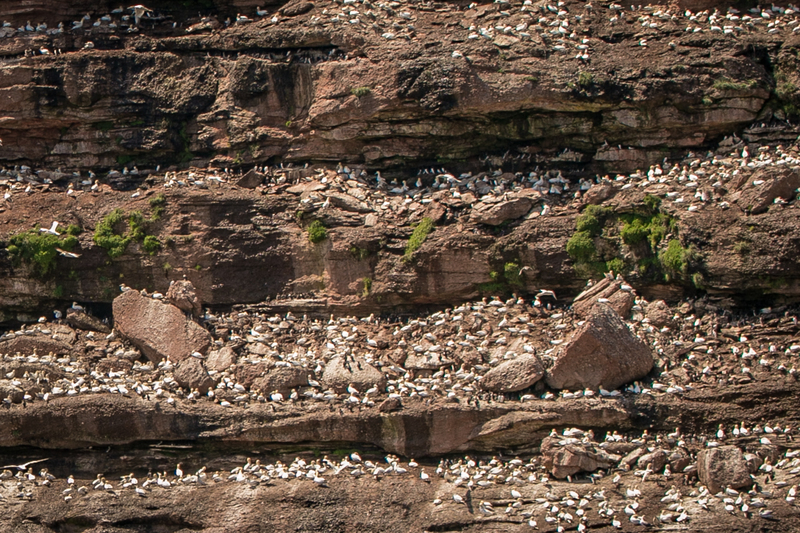 The boat slows on the cliff side, providing glimpses of hundreds of thousands of seabirds darting about. I have never seen anything quite like it. The cruise continues until docking at the island, uninhabited save for the daytime staff of Park Rangers. 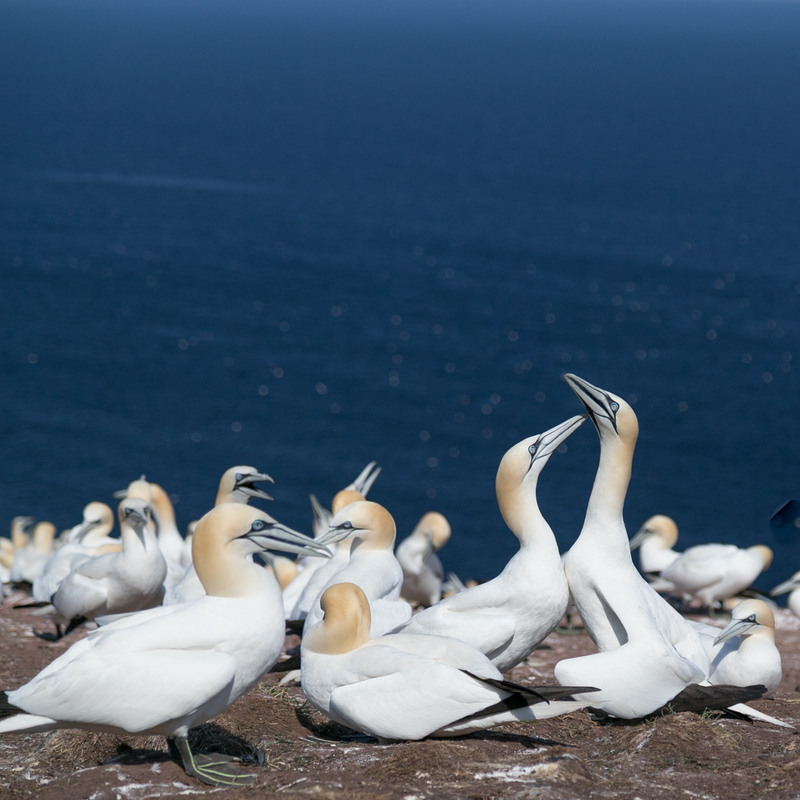 Bonaventure is home to a famous colony of northern gannets, who return to nest from April to October. Visitors hike the National Park trails to the island’s far side, where over 200,000 flock together. It’s surreal. You get astonishing up close images of these near 40-inch feathered friends, who build their nesting mounds very close to one another. They seem to constantly bicker like siblings when one crosses over into another’s space. “Hey! That’s my territory, get out,” they call. I could have stayed for hours, watching the fascinating behavior and camaraderie of this species, similar to Galapagos Blue-Footed Boobies, but with black feet. 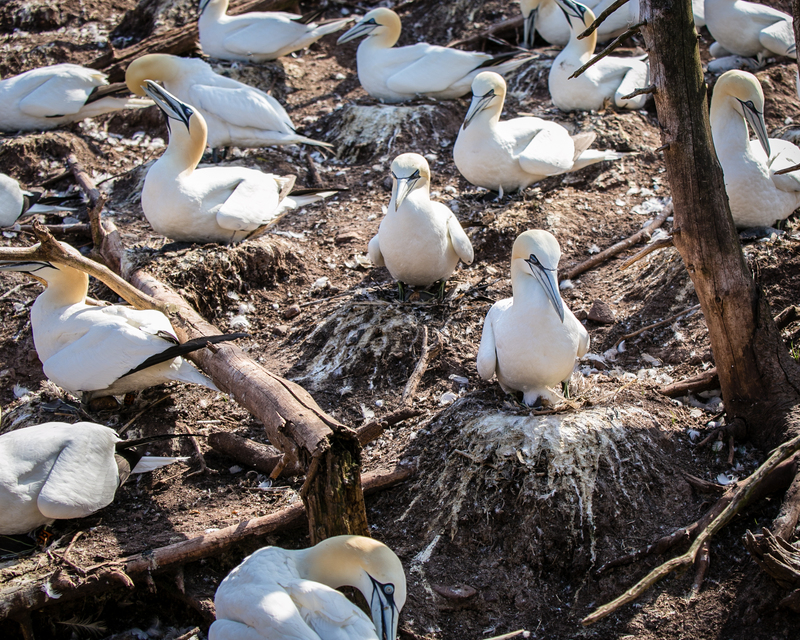 Bonaventure Island is the only place in the world where you can see such an immense rookery. I’d rank this authentic outing a must for birders, wildlife enthusiasts, photographers, kids and anyone looking for nature’s entertainment. 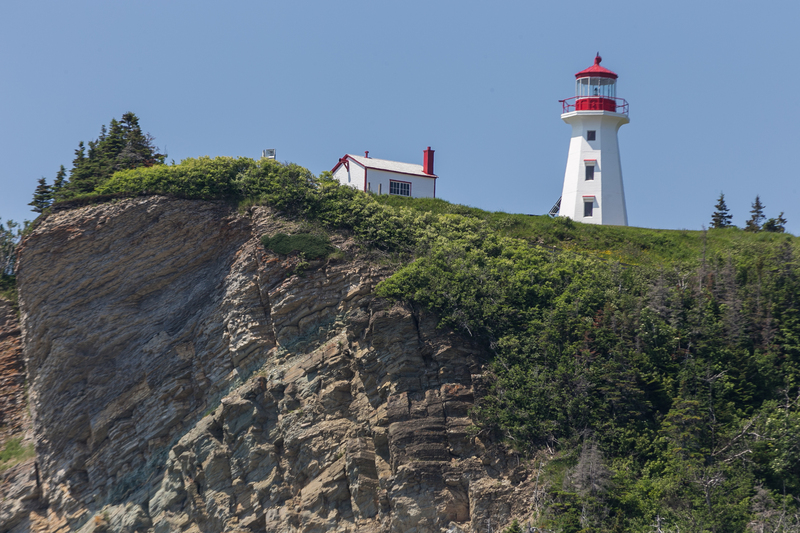 Lighthouses became essential in the Quebec Maritimes, and if you are among the fans who enjoy touring them, you need to visit. 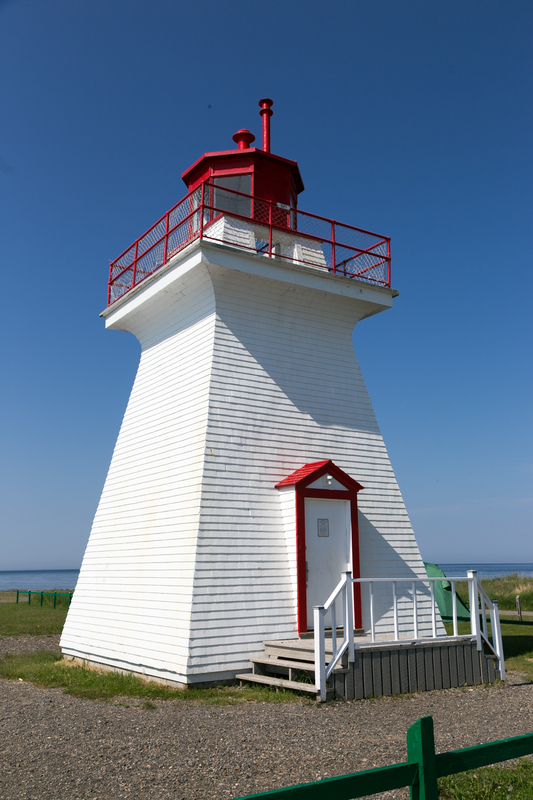 More than 40 lighthouses line the coasts, 17 offer tourism activities or services to the public. Some have been given new life as museums, inns or cafés. I am not a motorcycle rider, but if I were, riding the 560-mile loop around the peninsula would be on my list. The uncrowded coastal roads reminded me of the famed drive around the Cabot Trail in Nova Scotia. My group was driven to Forillon National Park on the easternmost tip, called Land’s End. Talk about powerful draws, the park excites with to-die-for vistas, invigorating terrain for hikers and bikers, beaches for swimming and wildlife. 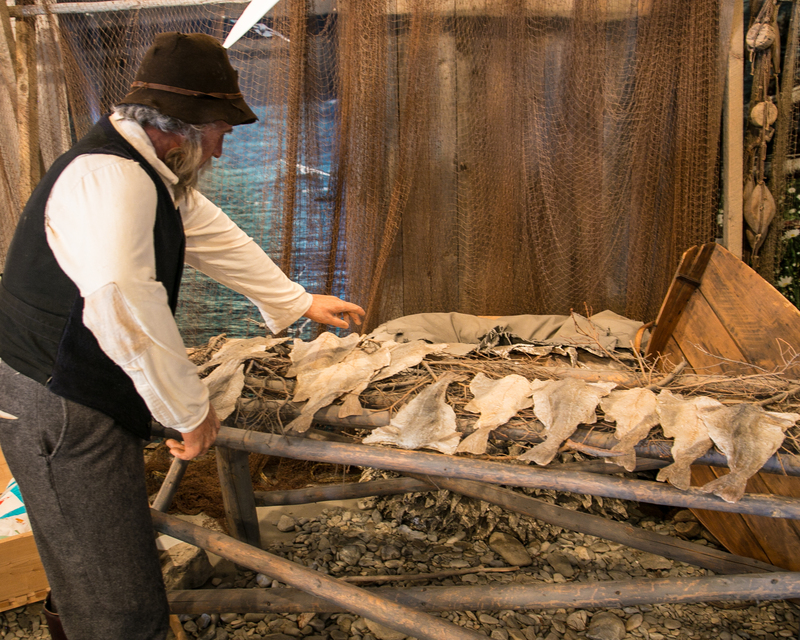 Plus, Forillon has a restored general store, where you can learn how the former residents thrived off fishing and preserving salt cod. I also boarded a boat for a whale-watching tour. 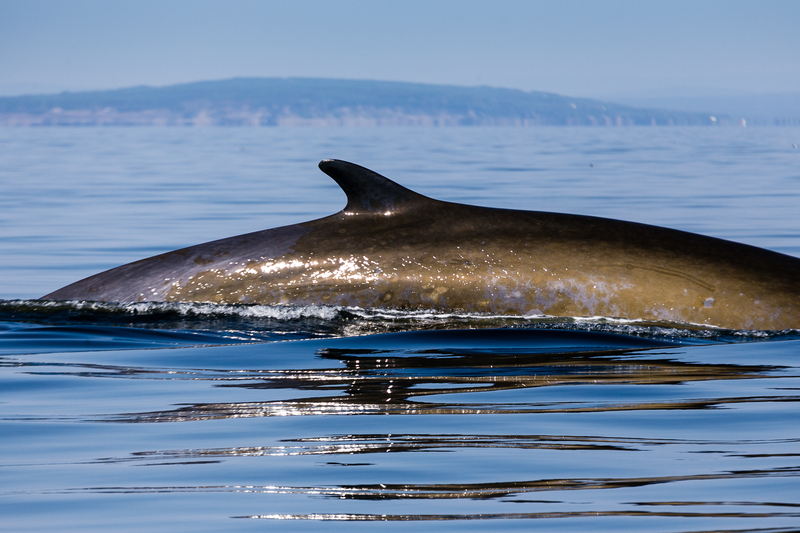 I saw a number of huge Fin whales swim by, but they dive in a way that their tail flukes don’t break the surface. There went my anticipated photo op! Even if you don’t see breaching whales, the high cliffs convey visual drama. A large Fin Whale seen on a whale watching excursion. With all these interactive activities, you might wonder why the Gaspe Peninsula isn’t better known. The reason is simple: location, location, location. The area is rather difficult to get to. A drive from Montreal takes six hours, three and one-half if coming from Quebec City. A limited number of flights in small propeller planes are available from Montreal. If you fly, however, you need to rent a car. Once you arrive, the Gaspésie guarantees to fulfill the excitement of not just visiting a place, but engrossing yourself in it. More information can be found at: www.quebecmaritime.ca. All photos copyright Debi Lander. Many thanks to Quebec Maritimes Tourism for hosting me on this trip. Inn by the Sea debuts Impossible® Burgers & the future of food!